Chamber of Deputies votes to strip former Planning minister Julio De Vido of congressional immunity over corruption allegations; ex-Kirchnerite official turns himself into police. 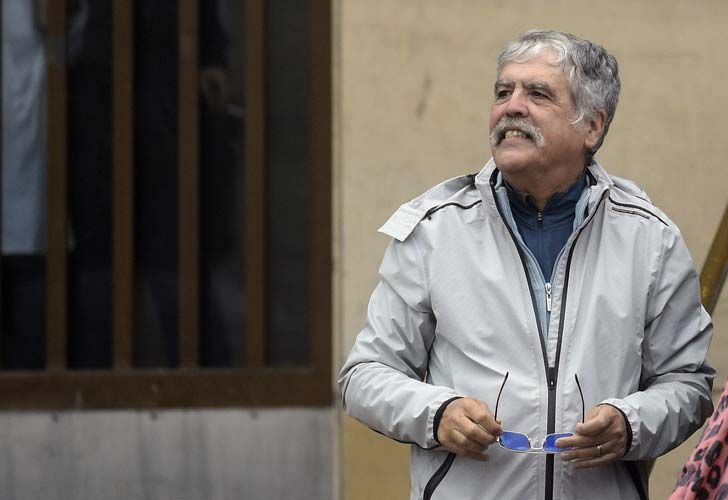 The Chamber of Deputies has voted to strip former Planning minister Julio De Vido of his congressional immunity over corruption allegations, paving the way for him to be arrested. In a dramatic session in Congress that began at noon, lawmakers in the chamber voted 176 in favour, with one abstention, in approval of a motion to strip De Vido – a key Kirchnerite minister who served under former presidents Néstor Kirchner and Cristina Fernández de Kirchner – of his immunity from prosecution. While the chamber has 257 seats in total, Kirchnerite-allied lawmakers in the Victory Front (FpV-Peronist) block refused to attend the vote and come to the floor, decrying the move against De Vido as “persecution” in a press conference earlier in the day. President Mauricio Macri’s Cambiemos (Let’s Change) coalition had expressed confidence earlier in the day that they would have the numbers to push the vote through. By 2.15pm, lawmakers had approved the motion. Barely an hour after the decision, the 67-year-old turned himself in, arriving at the Comodoro Py courthouse. After the lawmakers' decision, police officials arrived at De Vido's apartment, but the former official had already left. Upon arrival, De Vido referred to his rival and recently elected lawmaker to Buenos Aires City, Elisa 'Lilta' Carrió, telling journalists they should “send champagne to Doctor Carrió” from him. De Vido oversaw the distribution and awarding of billions of dollars set aside for public works projects and was a key figure in three Kirchnerite administrations. The motion arrived at Congress after two separate requests from Luis Rodríguez and Claudio Bonadio, federal judges probing De Vido’s involvement in two corruption cases. The judges claimed that De Vido could use his influence to affect the investigation and have argued for his immediate imprisonment and pre-trial detention. De Vido is being investigated on two fronts. Bonadio is probing claims over alleged irregularities and kickbacks involving US$7 billion in payments related to the purchase of liquefied gas. The judge recently ordered the arrest of Roberto Baratta, De Vido’s so-called ‘right hand man’ and the seizure of assets from both totalling as much as one billion pesos. Rodríguez, meanwhile, is investigating the alleged embezzlement of 270 million pesos for uncompleted projects related to a coal mine in Rio Turbio, Santa Cruz province.